After an 1862 fire destroyed the county's first courthouse as well as many of the buildings in downtown Jackson, a stone-and-brick courthouse was constructed on the original site. 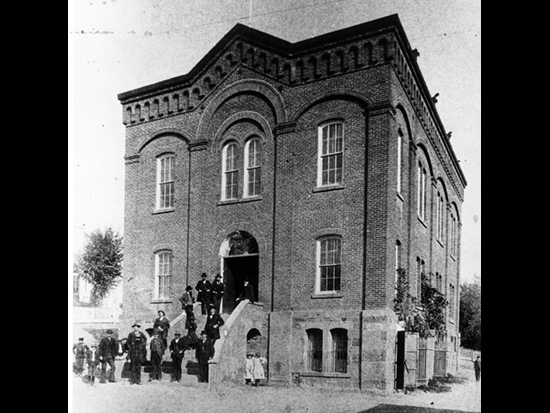 In 1893, a building similar in size and design was constructed next to the courthouse for use as the Hall of Records. An alley separated the two buildings until 1939, when both buildings were enclosed in an art deco exterior. The combined building is still in use as Amador's courthouse.